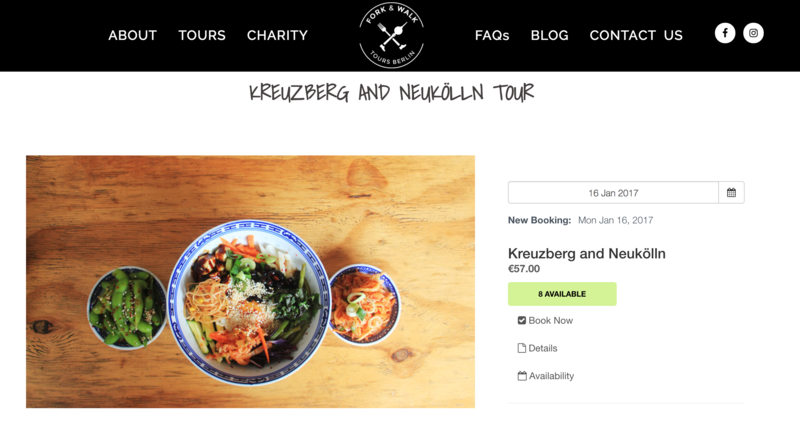 In 2016, Fork & Walk launched a brand new walking food tour onto the streets of Berlin, Germany. The challenge with Fork & Walk was to combine functionality and design. Fork & Walk wanted a site that spoke to the street feel of Berlin with its many historic influences alongside vibrant street art and eateries. 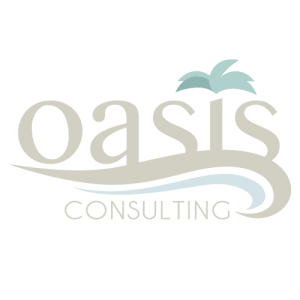 In addition, they wanted potential guests to have the ability to book online and build their online sales. Our solution was to utilise a WordPress template with some custom code and a booking plugin to handle calendar management and payments. The WP template has allowed us to meet the budget Fork & Walk provided, whilst giving them a framework where we could teach them how to make edits and optimise SEO blog posts to build a solid online foundation for the business. We helped Fork & Walk choose a suitable booking plugin that would be both cost efficient and provide the customisation they required for the website. 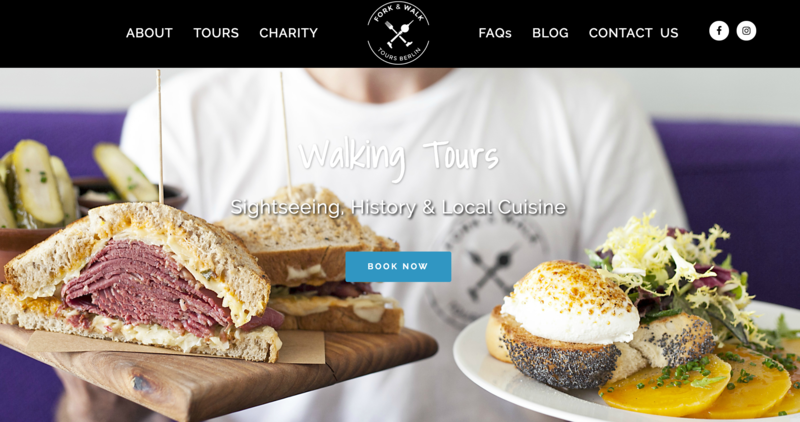 Fork & Walk can grow their customer base and tours without worrying about missing bookings! Fork & Walk continue to work with us to help optimise their website, learn best practices and review online advertising options.